The U.S. Senate could vote Wednesday whether to trash the Obama administration created rule that targeted methane emissions from oil and gas operations on public lands. It’s what Oklahoma U.S. Sen. Jim Inhofe and others have told Politico’s Morning Energy Report. INCHING TOWARD METHANE VOTE: The Senate is closing in on a vote to nullify an Obama-era BLM rule targeting methane emissions from oil and gas operations on public lands Wednesday, but Republicans have not yet reached agreement on how best to mollify a small bloc inside their own caucus pushing for a waiver to sell 15 percent ethanol fuel year-round. “We’re still discussing and having a good give and take,” Sen. John Thune, one of the holdouts, told ME. “We’re just trying to get a pathway forward to deal with this issue at some point. We’re making headway. The conversations have been productive.” Sen. John Cornyn told reporters that leadership was still figuring out “how we can demonstrate good faith” to the members that the issue would be resolved, but four senior Republicans – Thune, John Barrasso, Jim Inhofe and John Hoeven – all told ME to expect a final vote Wednesday. One obstacle resolved: Backers of the Congressional Review Act resolution got a big boost late Monday when Sen. Rob Portman – a much-watched undecided member – announced he would support axing the regulation after receiving assurances from Interior Secretary Ryan Zinke that he will address the emissions. 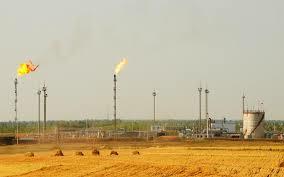 As Pro’s Nick Juliano reports, Zinke committed in a letter to review venting and flaring requirements for oil and gas operations, among other steps. Chris Saeger, director of the Western Values Project, condemned Portman’s decision as “a shameless attempt to repay the oil and gas companies that funded his political career,” claiming the Ohio Republican took $670,802 from oil and gas interests in 2016.